In the world of pain management, an epidural injection involves cortisone being placed in the epidural space to relieve inflammation and pain. The injections used in Pain Management are placed into the same area as an epidural injection for Pain Clinic Las Vegas pregnancy, but they are used for different reasons and contain different medications. The first epidural steroid injections were performed in the 1960s. For the most part, the methods and indications for the injections have remained stable. This is because they have been shown to be extremely effective at relieving pain and helping patients avoid surgery. If it’s not broke, why fix it right? For what conditions is an epidural steroid injection used? The most common indication for an epidural steroid injection is when a nerve root is being compressed. In layman’s terms, this is called a pinched nerve. When a disc is herniated, often called a slipped disc, it may press on an adjacent nerve root and cause inflammation. This is called sciatica and often results in pain down the leg along the distribution of where that particular nerve root goes. Another condition where an epidural steroid injection is helpful is spinal stenosis. Spinal stenosis results from arthritis resulting in soft tissue and bony overgrowth in the spinal canal. This compresses nerve roots and an epidural injection may help decrease the pain and inflammation that results from the condition. Along with direct nerve root compression, an epidural injection may also help when a nerve root is being irritated from a chemical reaction. This may occur when a tear occurs in a degenerative disc, resulting in a flareup of inflammation In the surrounding area. An epidural steroid injection can reduce this inflammatory reaction and relieve associated nerve root pain. Epidural injections with a Las Vegas Pain Doctor are performed as an outpatient in either a procedure room or at a surgery center. Most commonly, Pain Management Doctors use a fluoroscopy machine, which is a real-time form of x-ray, or ultrasoundPain relief Las Vegas for the procedure. This ensures the highest level of needle placement for the procedure, as studies have shown that without image guidance there can be upwards of a 40% miss rate for the procedure. Some patients desire IV sedation for the procedure, but it is not absolutely necessary. If a person has anxiety or claustrophobia, IV sedation may help tremendously. It may simply be necessary to either numb up the soft tissues and skin overlying the spine, or a patient may also have oral sedation with a Valium one half hour prior to the procedure. Once the needle achieves proper placement in the epidural space, pain doctor will place some contrast to ensure accuracy and then steroid is injected. The type of steroid used will vary between Pain Doctors in Las Vegas. What are the different types of epidural steroid injections? 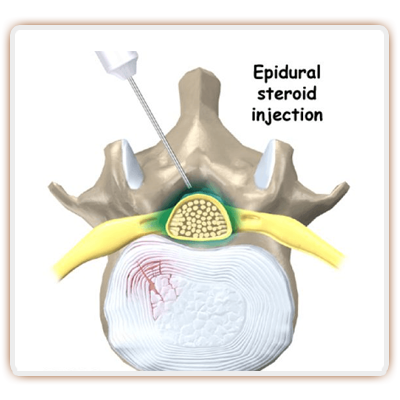 There are three types of epidural steroid injections commonly used today. The most common type is an interlaminar epidural injection. This method was the first type invented and Involves placing the needle between the bone in the back of the spine. Most pain doctors use what is known as the “loss of resistance” technique for accurate placement. A second type of epidural injection is known as a transforaminal epidural steroid injection and involves placing the needle closer to where the nerve roots exit from the spine. This places the steroid closer to where the nerve root is actually being compressed and is becoming much more popular in the lumbar spine as the results have been excellent. In the cervical spine, transforaminal epidural injections are typically avoided as the risk profile is much higher than it is in the lumbar spine. Usually, interlaminar epidural injections are used in the neck. 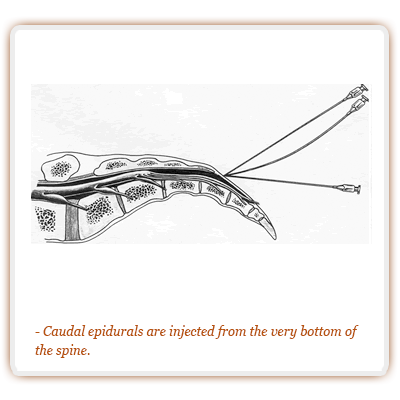 The third variety of epidural steroid injections is known as a caudal injection and involves injecting steroid at the lowest point of the lumbar spine called the sacral hiatus. A larger volume is typically used and the steroid is able to cover multiple levels of never compression. This is typically much more helpful in a situation where several nerve roots are being compressed as in spinal stenosis. After an epidural injection is performed, usually patients are monitored for thirty to sixty minutes to make sure there’s no allergic reaction and the vital signs are stable. Then patients are able to go home. How effective are epidural steroid injections? Multiple studies have been done over the last few decades looking at the effectiveness of epidural steroid injections. Overall, the effectiveness of these Pain management doctors in Las Vegasinjections are between 75 and 90% at relieving pain and helping patients avoid surgery. They do not fix the problem of nerve root compression, however, they are able to effectively mask the pain. 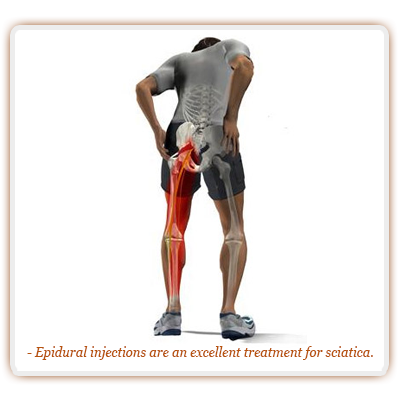 It may take more than one epidural injection to relieve pain significantly. A lot of the time, pain doctors perform a series of injections 1 to 2 weeks apart for a total of three shots. Injections can then be repeated every few months as needed. Outcomes in a landmark JAMA study showed that the outcome of epidural injections was equal to that of lumbar discectomy surgery at the one year point for pain relief and functional ability. Overall, an epidural injection has very low risk. There is a small risk of infection, bleeding, and nerve injury. If the patient normally takes blood thinners, those should be stopped 5 to 7 days prior to the procedure. Your Las Vegas Pain Management Doctor will explain the exact timeframe. When a nerve injury occurs from an epidural injection, it is usually transient and gets better within a few days to a few weeks. One thing that is also commonly seen is transient weight gain and water retention from the steroid. This usually resolves within a few days. If you or a loved one is suffering from sciatica, spinal stenosis or radiculopathy, then an epidural steroid injection may help decrease pain, increase function and avoid surgery. The services of a pain management Las Vegas clinic can offer injections plus medication for pain relief. Call one today!